Sue Swinand is primarily a painter with a preference for water media. Although her work is usually abstract, the structures and forms of nature are a big influence for her. 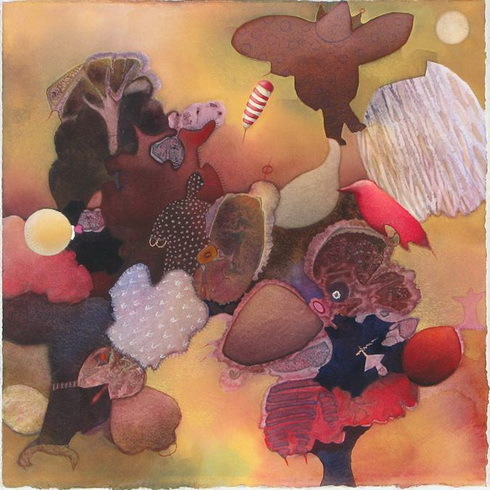 Sue was graduated, magna com laude, from Moore College of Art in Philadelphia with a BFA in Painting. She was awarded a Sartain Fellowship, which allowed her to travel and study in Europe following graduation. When she returned, she attended the Barnes Foundation for two years, where she studied the Philosophy and Appreciation of Art. Sue taught studio classes at the Worcester Art Museum for more than 25 years and visual communications and painting at Clark University. She currently teaches painting at Wellesley College Greenhouses. She has exhibited widely on the East Coast, including solo shows at Woodmere Art Museum in PA, Vorpal Galleries in NYC, The Berman Museum at Ursinus College, The Philadelphia Art Alliance, The Danforth Museum in Framingham, MA, Arden Gallery in Boston and The Duxbury Art Museum Complex. She is a signature member of the American Watercolor Society and has received several awards in their international exhibitions. Sue has hosted a Cable TV program called “Arts and Ideas” since 2008.